Communities are more than just call deflection. While deflecting support calls is extremely important to both users and the company’s bottom line, it is only one aspect of the role of digital communities. In reality, any organization’s support community is ensuring new customer on-boarding, providing user-to-user support, extending premium experiences, and building brand advocates. The sales funnel is the first half of the equation. Marketing’s efforts are focused on moving users through the sales funnel to a meaningful conversation point (sale, download, registration, etc…). Upon reaching the conversion point, marketing is missing valuable customer engagement opportunities if they simply leave the user in a community experience that is not aligned with the broader brand experience. 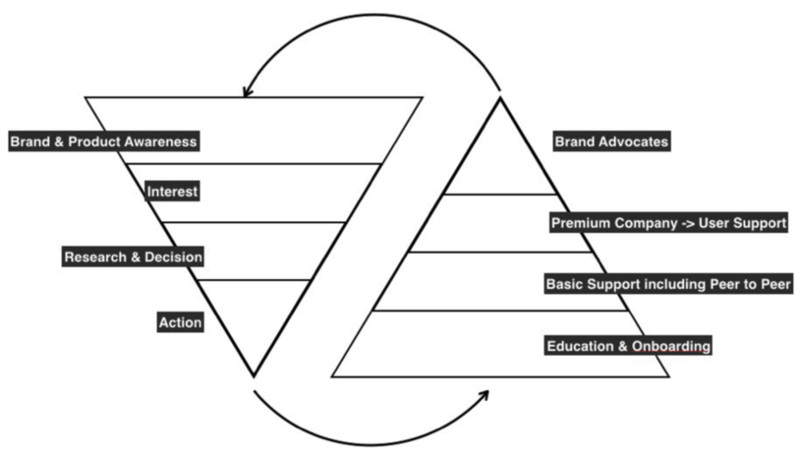 The post-acquisition lifecycle guides users from on-boarding through brand advocacy and aligns the needs of the user with the goals of the organization. For new users, the community serves as a valuable resource for education and on-boarding. Simple tools like Getting Started guides, FAQs, and solution walkthroughs will optimize this experience. This is especially important for organizations that are relying on usage-based or recurring monthly revenue models. 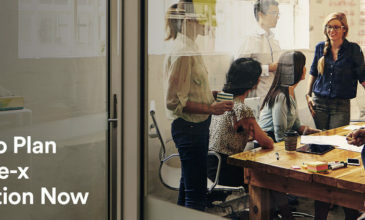 In an organization like “Splunk”, for example, the overall revenue per customer is driven by the amount of data each user loads into the platform. The community experience, then, must be focused on supporting usage of the platform and activities that drive both usage and data imports. These days, users expect a vibrant support community. Meeting that expectation is the minimum requirement for continuing customer experience into the community experience. And for companies, user empowerment and call deflection remain key benefits, too. Simple, searchable, and streamlined support drives reductions in support costs and maintains product usage within organizations. In large enterprise purchases, prospects are likely to include a review of the support experience as part of the decision-making process. Buyers expect to have questions (and potentially issues) when purchasing complicated systems or solutions with complex delivery and logistics. Your support community is their window into how their questions or issues will be addressed. It is imperative that the community experience clearly and proactively engage visitors and highlight beneficial activity. Premium Support is a more targeted account-engagement strategy. Premium support may or may not be available for an additional cost. Communities offering premium support provide a level of engagement and response above the standard P2P support model. Premium support options are typically available in a particular part of the support site, via a dedicated private area or a Premium portal. Premium support areas in the community can be aligned with existing Service Level Agreements, as well. Major community platforms such as Salesforce Community Cloud, Jive, and Lithium can integrate the creation of discussion threads with the escalation of threads to Salesforce support cases. Finally, the community allows marketers to identify, promote, and reward advocates for their company’s products and brand. Knowing these users empowers marketers to utilize them, and the content they generate, in the sales process. Power users can be identified through the content they are creating in the community, their engagement with other community members, and the amount of traffic they refer through social sharing. This is part one of a series on Community Experience as a key aspect of Customer Experience.You can also read part one on the post-acquisition customer lifecycle and part two on alignment between community and customers.